I used to have an odor problem from my Anole lizard cage. I had Anole lizard, a very small type of lizard, in a fish tank with a heat light on top. The odors came from the dead crickets! Lizards require live food, so I would buy a bag of a dozen crickets and dump them in. My pets ate whenever they felt like it and whenever they could catch one, but the crickets tended to hide down under the rocks in the bottom of the cage. There was no food for them, so they'd chew on my lizards' sunning sticks. Unfortunately, several of the crickets died down in the rocks. With the heat and moisture, it smelled awful! I solved the problem by feeding my lizards in a separate cage. I got another small plastic cage and put all of the crickets in there. I kept them in there and gave the crickets some oatmeal, dog food, or fish flakes to eat. Once a day, I got my lizards out of their cage (they were tame since I handled them everyday) and put them in the small cage with the crickets so they could eat. * No more dead cricket stink from rotting in the bottom of the lizard cage! * Saved money on buying the crickets since less died and more were eaten. * Healthier lizards since they had an easier time catching food. 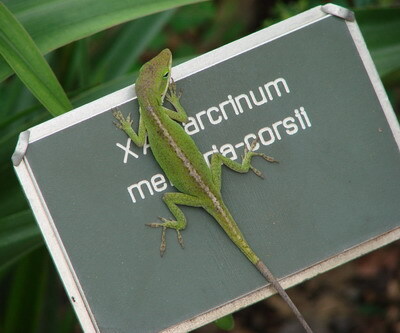 * Easier to monitor the lizards' health to make sure that they were eating regularly and notice when they weren't. Thank you for a wonderful tip. You are giving us both a problem and a solution. I would use this story to remind pet owners that pet urine is not always the biggest problem when it comes to pet odors. Pets leave a lot of food around their cages/tanks and in warm rooms the food rots fast and, as you said, smells awful. Not only is it smelly but it is not healthy for a pet to have the opportunity to eat food like that. Learn how long does it take for your pet to eat and remove the rest of the food after half an hour. Amy, you found a great solution for this problem, thank you.